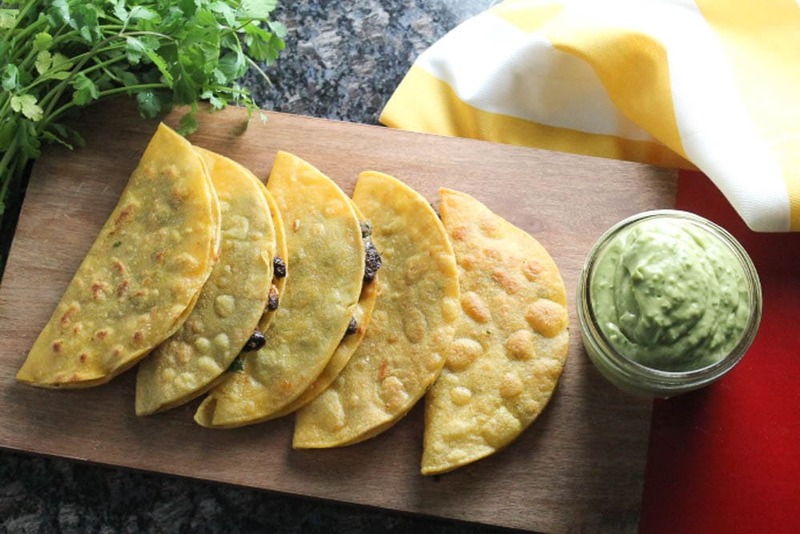 Crispy Black Bean Tacos with Avocado-Lime Dipping Sauce – One of our most popular recipes, for good reason! The tacos are rich and crunchy, and the creamy sauce is to die for. These tacos are positively addictive. Best Ever Mexican Black Beans – This black bean recipe really is the best ever, and it’s one of our super-easy 5-minute recipes. I didn’t even like black beans before this recipe! Crock-Pot Cilantro Lime Shredded Chicken – This versatile, flavorful shredded chicken is a snap to make and can be used in tacos, salads, rice bowls, burritos and enchiladas. 5-Ingredient Spanish Rice – By far our most popular recipe! It’s surprisingly simple to make a Spanish rice that tastes just like the side dish you get in Mexican restaurants. It’s a great for burritos and rice bowls, too. Easy Homemade Salsa Verde – Made with fresh tomatillos, peppers, onions and garlic. You can create your own roasted salsa verde in less than 30 minutes. Salsa Verde Chicken Enchiladas – Cheesy, saucy, satisfying, and so simple to prepare! Baked Green Chile Chicken Taquitos – These disappear fast whenever we make them. They’re baked instead of fried with under 300 calories. 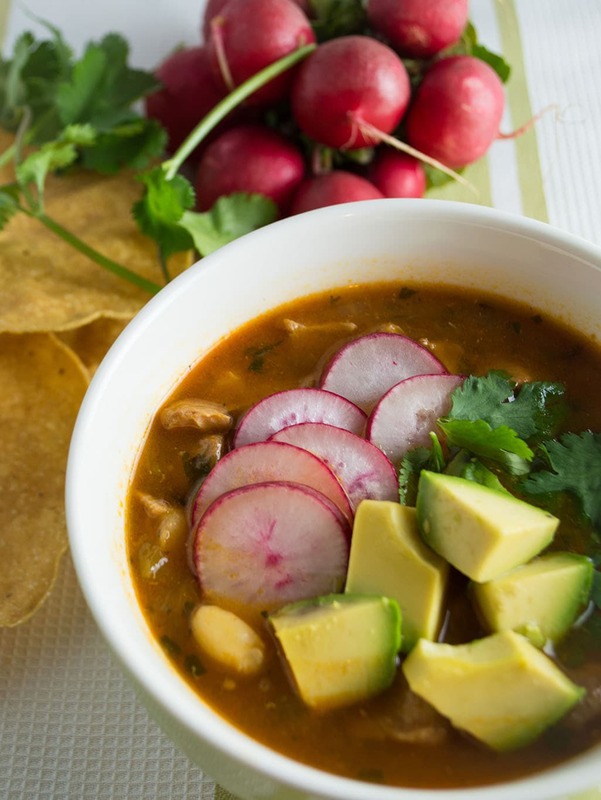 Easy Red Posole – Posole combines a rich, warm and spicy soup with fresh, crunchy toppings, so it’s like having best of both worlds. This easy version cooks hands-free in a pressure cooker or crock-pot. Easy Green Posole – Fresh tomatillos and chiles bring their flavor magic to this green version of classic Mexican posole. Smoky Chipotle Turkey Chili – This turkey chili has been a favorite for years at our house, and I wouldn’t be surprised if it becomes one of your favorites, too. Want more easy recipes for busy families? Browse our recipe index page.